Just a quick note on the WD Thunderbolt Duo that I’m putting through the paces over the next few weeks. I just took it out of the box a little while ago and ran a speed test on it with the Blackmagic Disk Speed Test. 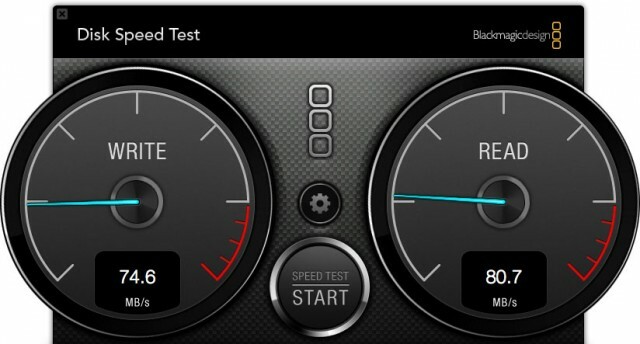 How about a write speed of 242MB/s on a MacBook Pro for a drive that sits on your desk? Holy crap. 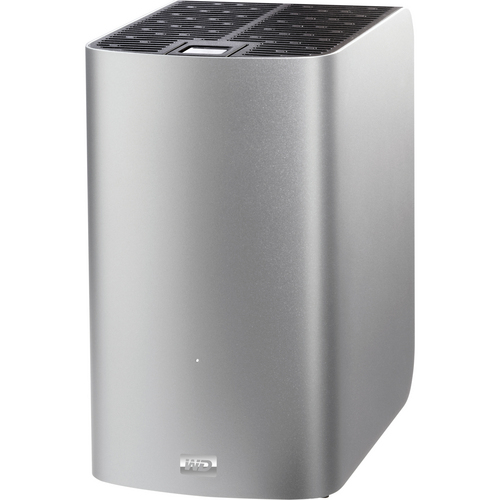 For the record, this is coming from the WD Thunderbolt Duo 6TB drive. That’s two 3TB drives inside a single housing running in RAID 0. While the comparison isn’t a fair apples-to-apples test (and I’m by no means giving up my G-Drive Minis…), it gives an idea of the difference in throughput that Thunderbolt can bring along with a peppy RAID 0 setup. And this is just a single unit. What I saw of the demo at CES 2012 showed a daisy chain array of four Thunderbolt Duo drives pushing over 800MB/s read and write speeds. Just in the past hour or so, I’ve notice that the Thunderbolt cable is getting pretty hot at my MacBook’s port area, as well as on connection going into the WD drive’s port. It’s not too crazy; however, it’s something I’ll keep an eye on as I push some video editing through it. I’ll have more on the WD Thunderbolt Duo as I get more time with it over the next few weeks. For now, you can see more specs and features on Western Digital’s site. They’re also in-stock and now shipping from B&H Photo. Nice results for spinning disk! Is the outer shell metal or plastic? Have you thought about grabbing another one and doing a Raid 5 style setup? Would love to see the speeds for that. The answer is simple…spinning HDDs. This isn’t an array of 6Gbps SSDs. RAID-0 a half dozen 6Gbps SSDs and you will hit close to 7-800 MB/sec transfer speeds. There isn’t a HDD spinning or SSD available that can maximize the 10 Gbps available on the market. Thunderbolt speeds are for real…the issue is that hardware doesn’t exist that can maximize it. Also, I think you’re getting confused with what a gbps represents. 1 gbps is equal to about 100-125 MB/sec, so in the case of this WD unit it’s running around 2 gbps…quite fast for a pair of standard 7200 RPMS HDDs. I am just interested on what kind of speeds you must be getting on your external hard drives in order for you to shun This drive.